Reliable. Efficient. Versatile. Our range of prime movers is ready for your next haulage job – long haul, metro or mine site, we have a truck to suit. Our comprehensive range of rigid trucks is available in 2-12T and a range of configurations, ensuring you can select a truck that’s fit for your purpose. You can count on us to have a trailer to meet your requirements – no matter how big or small. Our extensive experience since 2003 as Truckworld Rental, gives us a wealth of knowledge in the transport industry for the benefit of our valued clients. Our rebranding to Axle Hire reflects upgraded fleet offering and premises to better service our clients requirements. Rest assured the same great people, company values and service remain. Our approach is to build professional, long-lasting relationships and we give this simple guarantee to our clients – modern, fit for purpose prime mover, rigid truck hire and trailer hire. It’s easy to understand why a wide range of industries choose Axle Hire for their trucks, trailers and road transport equipment – we provide a quality fleet that you can always rely on. We understand that your business can’t tolerate downtime or inefficiencies which is why we pride ourselves on providing a quality, modern and diverse fleet, backed by professional customer service. Quality brands, attentive customer service, and meticulously maintained fleet. Latest technology, late model and low km equipment ensuring your operating costs and environmental impacts are minimised. No compromise on your equipment selection, it will be fit for purpose ensuring your productivity is optimised. This approach sets us apart from our competitors by optimising your productivity, minimising operating costs and environmental impacts. Please feel free to discuss your specific requirements with a member of our professional team. The safety of our clients and assets is paramount to Axle Hire. To maximise your peace of mind and equipment reliability our fleet is serviced, maintained and supported by experienced and fully trained staff. Axle Hire holds a Main Roads Heavy Vehicle Accreditation Certificate and all equipment is subject to detailed inspections pre and post hire. Electronic on hire and off hire inspection will get you moving quickly when you collect and return your trailer or truck hire. Sometimes, the inevitable happens, and it usually doesn’t happen during working hours, which is why we offer our after-hours breakdown support, it’s just one other way we help you feel at ease during the process. 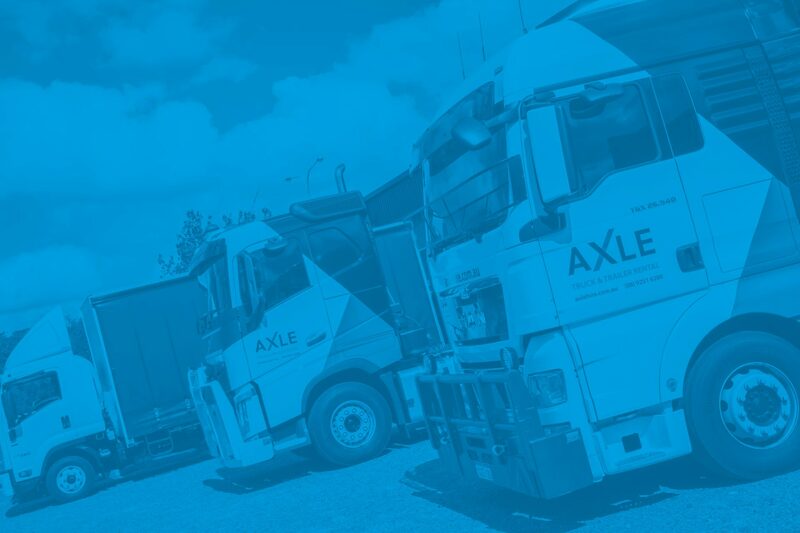 If you are searching for the best Perth truck hire contact Axle Hire today – we’ve got the range, and we’ve got the support to make sure that your job, whether it is moving, hauling, or transport gets done easily and efficiently. So get in touch today and find out what we can do for you.